CDAC is stands for “Centre for Development of Advanced Computing”. CDAC is one of the scientific society of the Ministry of Electronics and Information Technology, Government of India. Here comes the new job opportunities under Noida Centre of CDAC. They are looking for optimistic & result oriented people for the following job profiles in various short-term projects. These recruitment will be on purely Contract basis on consolidated emolument initially for a period of 01 (One) year or co-terminus with the project whichever is earlier. However, term of contract may be considered for extension for a further period of another one year based on performance of the incumbent and requirement of the project. 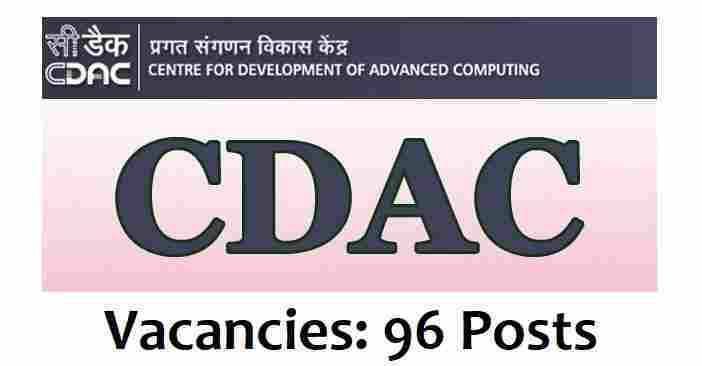 More information related to this CDAC Recruitment process 2018 is given below in this article. Candidates have to apply online for these Government jobs under CDAC department. We share the link under IMPORTANT LINK section for applying online. Candidates have to apply online before 20th Nov. 2018. After this date link will be expire for applying.